Five seats plus wheelchair. Wheelchair access via lightweight manual ramp. The Versa Caddy comfortably and safely accommodates the wheelchair user and up to five seated passengers (including the driver.) 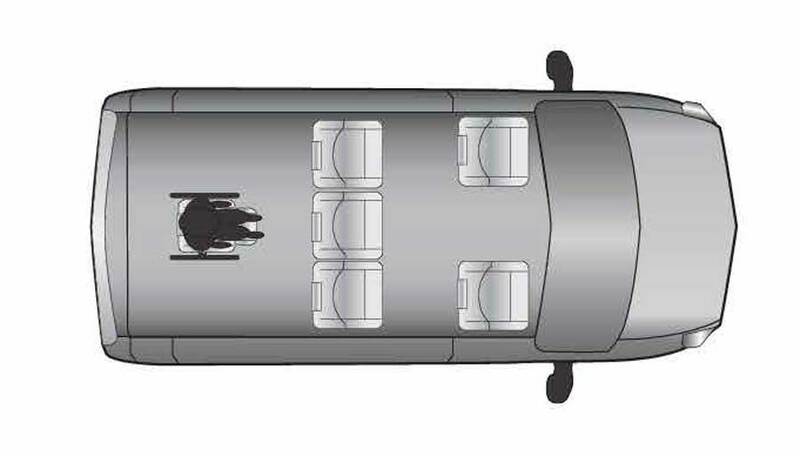 Twin sliding doors allow for ease of passenger access with a lightweight manual ramp to the rear for wheelchair access. 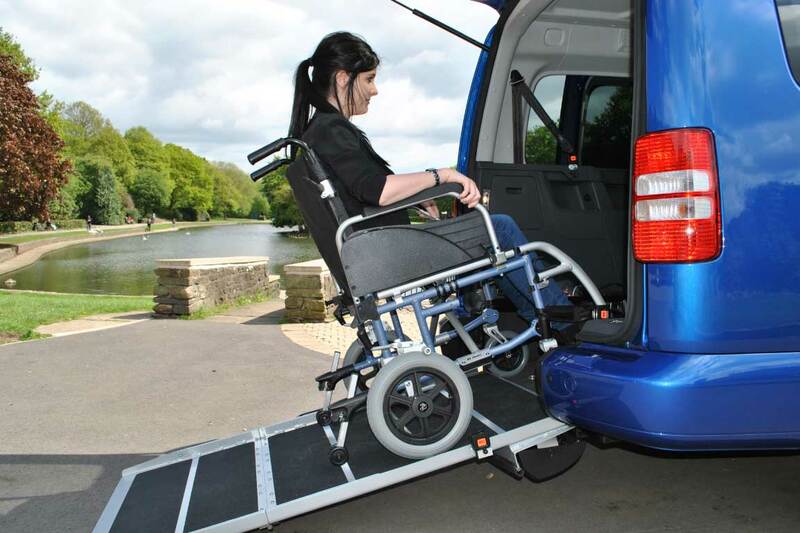 When the wheelchair user is not travelling, a huge and easily accessible boot space can be created. Volkswagen have built their reputation on design and reliability. We have built our reputation on quality conversions and providing useful solutions to our customers. The Versa Caddy is therefore the perfect mix of style and practicality. The Volkswagen Caddy retains the original Volkswagen seats with the wheelchair user sitting behind and as such can accommodate up to five passengers, including the driver, plus the wheelchair user. The three-seat bench in the second row has the versatility to be split, folded or completely removed. Retaining the original seats ensures that passengers in the rear of the vehicle have the most comfortable ride on full size seats. The original manufacturer seats also allow for the easy securing of a child seat, with the added safety of ISOFix mountings in the two outer seats.